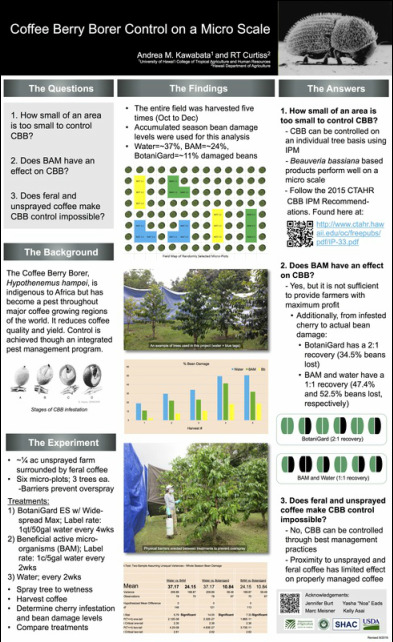 CBB & Coffee Presentations & Posters - Welcome Coffee Growers! 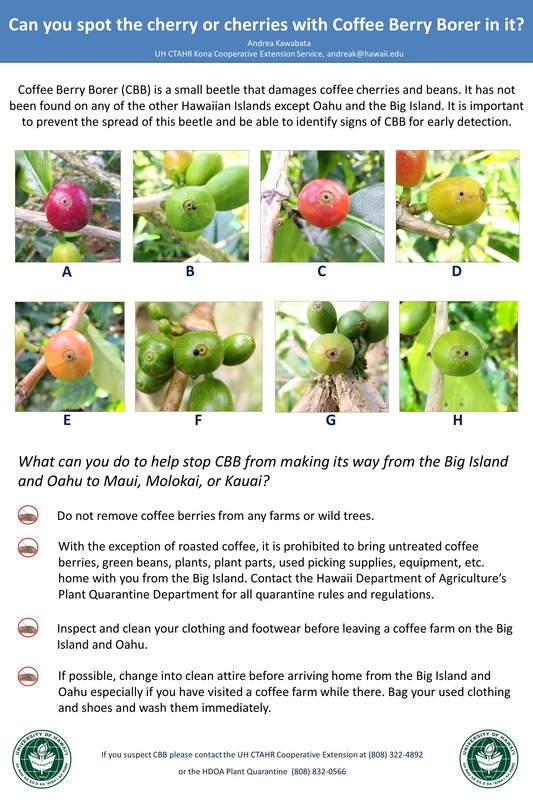 Outreach is important to CBB education and for extending the most up-to-date information from researchers to growers and the coffee industry. 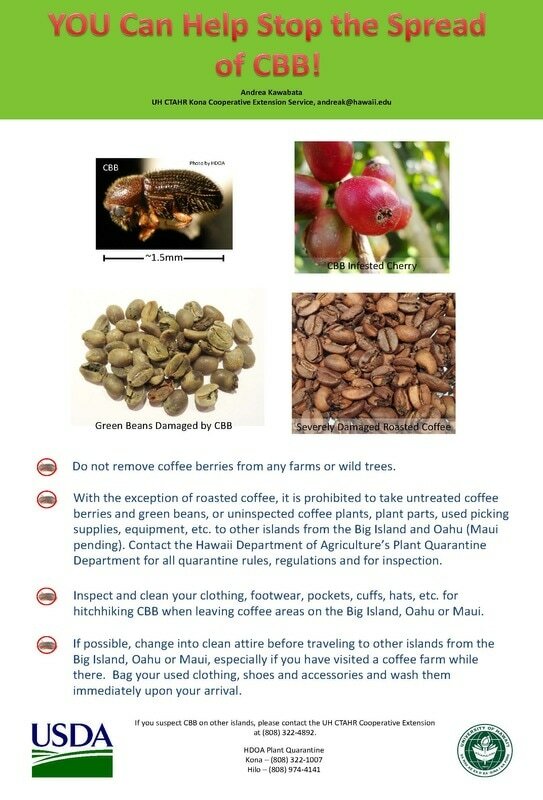 Presented by Andrea Kawabata at the Hawaii Coffee Association's Conference on July 21, 2017; updated on Aug. 11. Presented by Andrea Kawabata at the Ka'u Coffee Festival's Coffee College on May 3, 2015.